It's the size of a small robustus and brochis elegans but look at the color! A very nice looking cory. Indeed. If they are not stupid expensive I'd buy a group. Ok - stupid pricing is the norm for this fish I found out! 65.00ea seems extremely high but I have an inquiry from Ian Fuller for some now! Now I have to get at least 20! Also CW04 pics but these are even more! Do you have these or are you trying to get some. Very nice looking. Rich......It is a disease . I think we need a support group . I agree and we should call it CPA " CanadaPlecos Anonymous". How many times do I tell you I am trying to get out of this hobby business and then they throw huge LDA105's, 173, 174's, 236 and now 397's at me. It's a conspiracy!! They seem to know when I am waning and then reel me back in like a sucker!! Now these cool @ss cories! I need a lot more than a support group - maybe an asylum!! Just placed another huge order for these plecos above for arrival right after New Years! 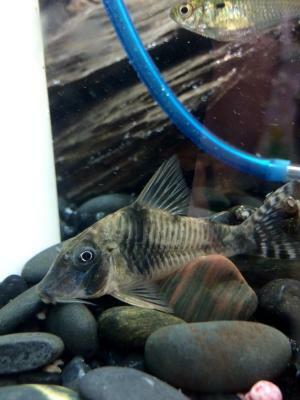 Tanks are full of rare cories and it seems that I hsve just picked up a batch of equally rare plecos. I just added another double 75g tank system (stacked on top of each other) and they will be ready right after Christmas. Those cories I am finding out may be a new species as per a friends correspondence with Ian Fuller - I also have two other cories that I may need to get identified as he has not seen them either. One is a black faced reynoldsi and the other is just different! hahah that won't solve your problem I had a native tank in a garage all winter one year, was awesome! No heaters, just lots of air and nothing else. only had to break ice a few times from the surface. Here is another Cory that I got but I have no idea what it is! 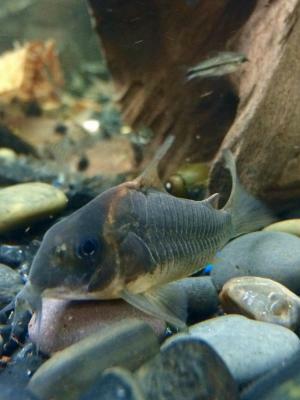 Here's another - typical reynoldsi like this but not with a black face - got a batch of 40 and 12 are black faced and look like a new Cory as well. 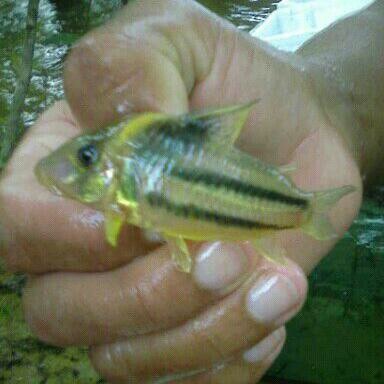 I got a list of others from my Peru guy today as well - he's getting some plecos out of Brazil - I ll send Rich the list when I get it. I might be condemned as an enabler out of this whole group so I am the worst guy here!! Lol! 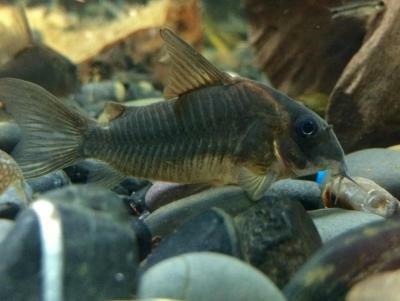 Kind of looks like Corydoras concolor in body shape , but a lot darker in colour.